Bob and Sylvia Torter skied almost every single day of Big Sky Resort’s 2015-16 winter season — despite a fractured ankle, a bout with pneumonia and undergoing treatment for cancer. When they realized that their previous season’s 132 days on-slope could be exceeded in a Leap Year, the Torters aimed for a gross: 144 total ski days. And just as they have for the last 18 years, they would do it together. “We’ve never skied separately in 18 seasons,” said Bob. Big Sky says this is a record for the resort and possibly a national one for couples. “I had to miss two days this winter for scheduled medical appointments in Miami,” said Bob, who served in the U.S. Marine Corps as an infantry squad leader in Khe Sanh, Vietnam. He now suffers from a rare cancer due to exposure to Agent Blue, the arsenic used to poison rice during the war. Those same years, resort founder and Montana native Chet Huntley co-anchored NBC news’ The Huntley-Brinkley Report. While Bob Torter earned two Purple Hearts and a Bronze Star, Huntley reported on it all. On Nov. 7, 2015, Big Sky opened for a rare pre-season day, giving Bob and Sylvia a leg up on their potential record — not to mention a set of figure-8s in 30 inches of fresh snow. “We had a lot of help from friends,” said Sylvia. Big Sky neighbors picked up groceries for the Torters, and other necessities, in Bozeman, 45 miles north. “Really, the effort to ski every day became a communal effort, from my doctor, Mark Diebert who replaced both my knees in 2014, to friends and neighbors and especially the resort staff. Big Sky General Manager Taylor Middleton wanted us to set a record that can’t be broken because this is a Leap Year, and unless the resort opens earlier or later, the record is ours. No other married couple could do it,” said Bob. By Day 143, word had spread throughout the mountain community of just 2,700 residents that the couple approached a record that surly no one else held at any resort. Meanwhile the resort itself was breaking a season record, seeing an 8 percent increase in skier visits over the previous year and setting an all-time record over the previous high mark from the 2013/2014 season. “We pulled into the ‘Rock Star Parking Lot,’ and the lot attendants encouraged us to reach the 144 ski days,” says Bob. 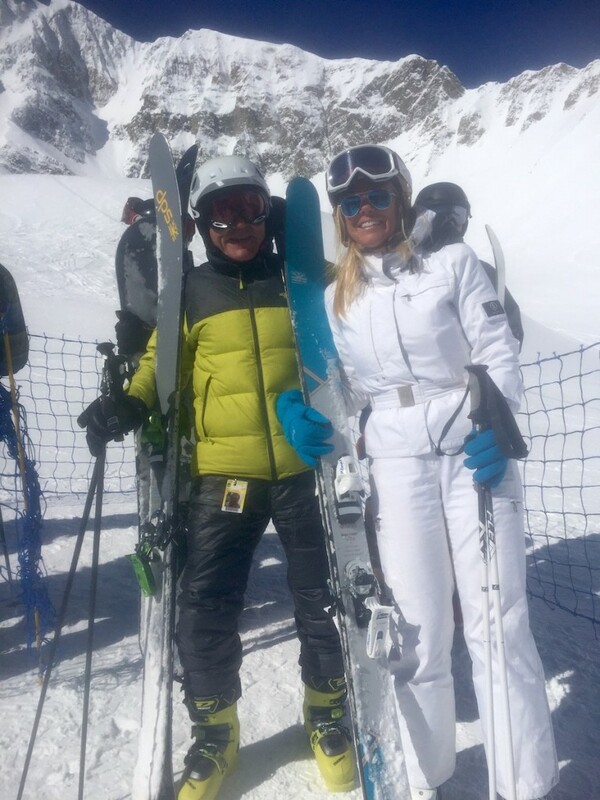 “By the last day of ski season, April 17, 2016, on the resort’s 144th day (the longest in Montana and one of the longest for Rocky Mountain destinations), we were at 143 days together on the slopes. So the mountain, Taylor Middleton, and lift attendants and ski patrol opened the resort for one more day, April 18. The entire mountain and just us to make the record,” Bob explained. 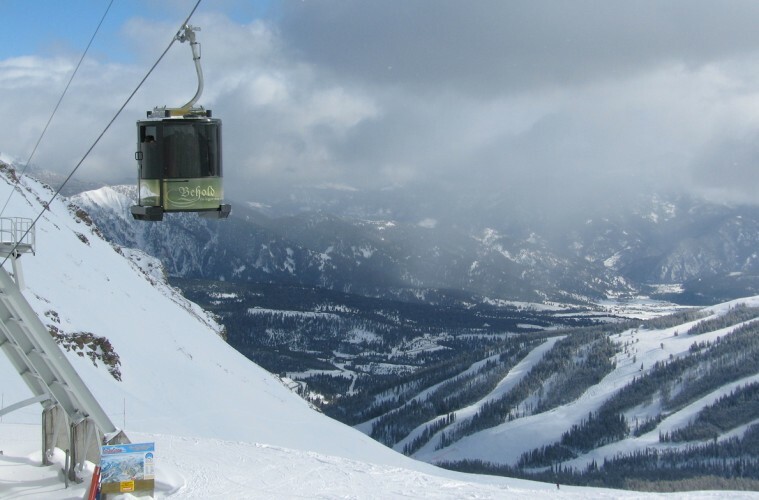 Established in 1973, Big Sky is located in the Northern Rockies of southwest Montana between Bozeman, Montana, and Yellowstone National Park — featuring 5,800 acres and an average two acres per skier, and a 4,350 vertical drop. Big Sky Resort is owned by Boyne Resorts, a Michigan-based corporation and the largest family-run four-season resort company in North America.